Russ Tabor is one of the top security specialists in the galaxy. Much against his will, he finds himself assigned to provide protection for Rupert Medawar Narayan Shenoy - "Lord Shenoy", as he likes to style himself - who is probably the human race's most brilliant savant. Shenoy has become convinced that the race of ancient aliens known as the Old Ones possessed powers unknown to any modern intelligent species. He believes they had harnessed forces which may well have been actual magic, giving the Old Ones the stature of gods. 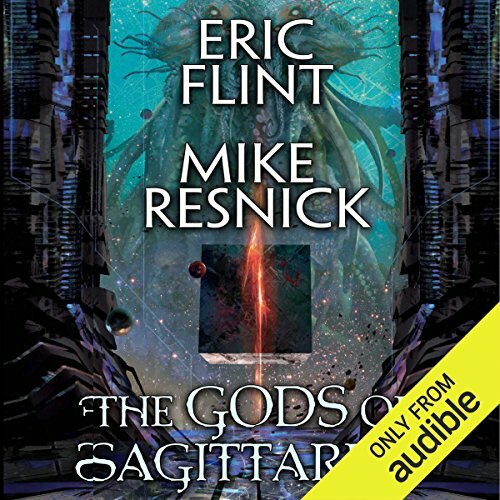 ©2017 Eric Flint & Mike Resnick (P)2017 Audible, Inc.